Watch the Republic of Singapore Air Force's fighter jets perform aerobatic stunts or learn more about their military hardware at heartland exhibitions, as part of a year-long celebration of it's 50th anniversary. 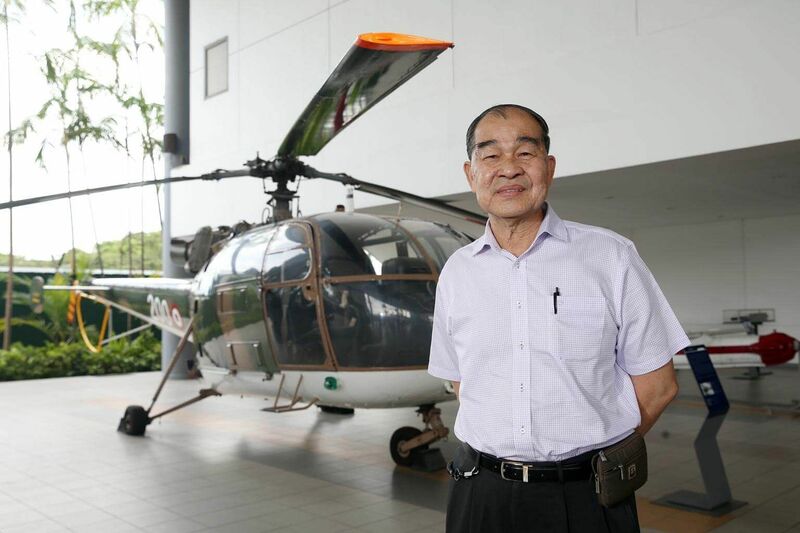 Lieutenant-Colonel (Retired) Leo Tin Boon, 68, was among the first batch of helicopter pilots trained under the Singapore Air Defence Command in 1968, as the air force was known before the Republic of Singapore Air Force (RSAF) was inaugurated in 1975. In 1971, less than a year after he became an operational pilot, he was deployed to help in flood relief efforts in Kuantan, where he flew more than 20 missions in 11 days to deliver food and medical supplies. He also flew one of three helicopters involved in the first National Day Parade state flag fly-past in 1970. The father of two sons and three grandchildren said of current and future RSAF servicemen: "Whether in the past, now or the future, it is my hope that the focus on knowing their duty of defending the nation is the very reason for them to be joining the force." She once represented Singapore in football but after university, officer commanding Military Expert 4 (ME4) Kristy Rose Ryan decided to return to her childhood dream of working with planes. ME4 Kristy, 31, who has served in the force for eight years, credits her airplane-enthusiast father for developing her interest by taking her to the Asian Aerospace show every other year since she was five. "My father likes the thrill of knowing the capabilities of each aircraft and collects magazines on them to share with the family," she said. 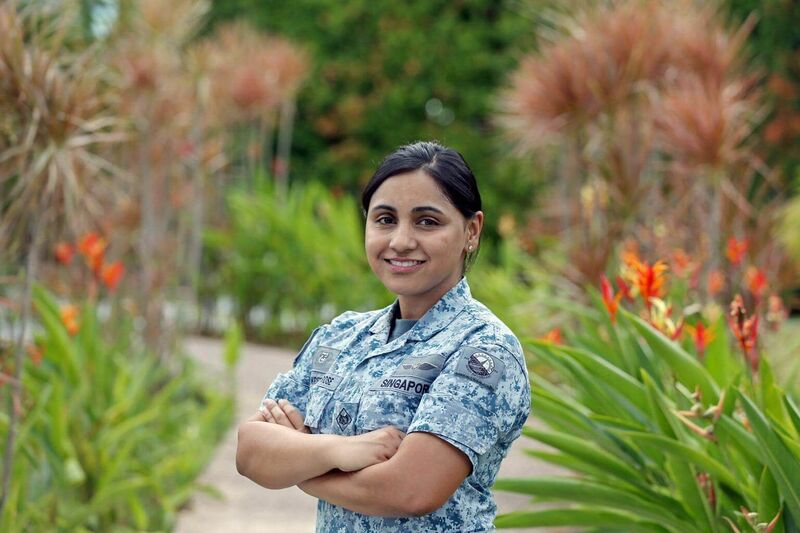 The air force engineer in 808 Squadron, who has an engineering degree from Nanyang Technological University, added that having worked under many nurturing mentors in the force has inspired her to be a better commander to the roughly 20 men under her charge. Within a day of the 2004 Boxing Day tsunami, Lieutenant-Colonel Christine Sim, 46, a Super Puma helicopter pilot, was on board the Republic of Singapore Navy's Landing Ship Tank to aid in relief efforts. 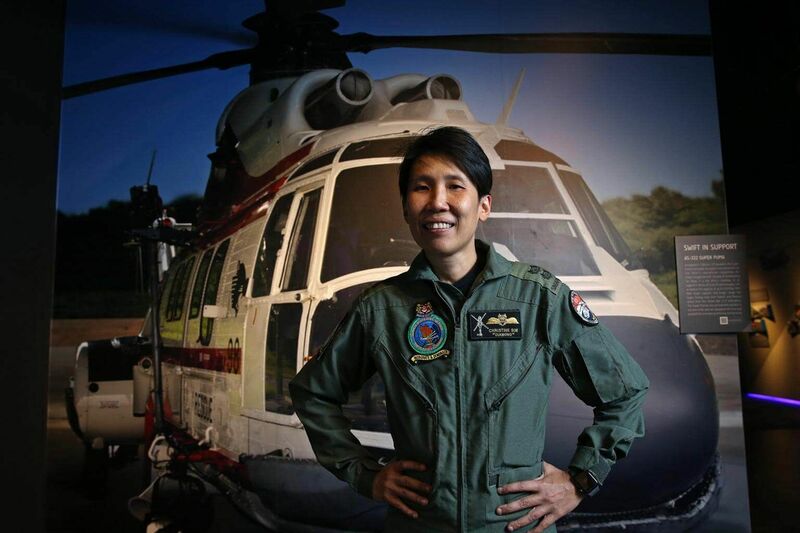 LTC Sim is the RSAF's first female helicopter pilot and has flown more than 20 search-and-rescue missions in her 27 years in service. She said: "To me, I think whatever the guys can do, women can do too. 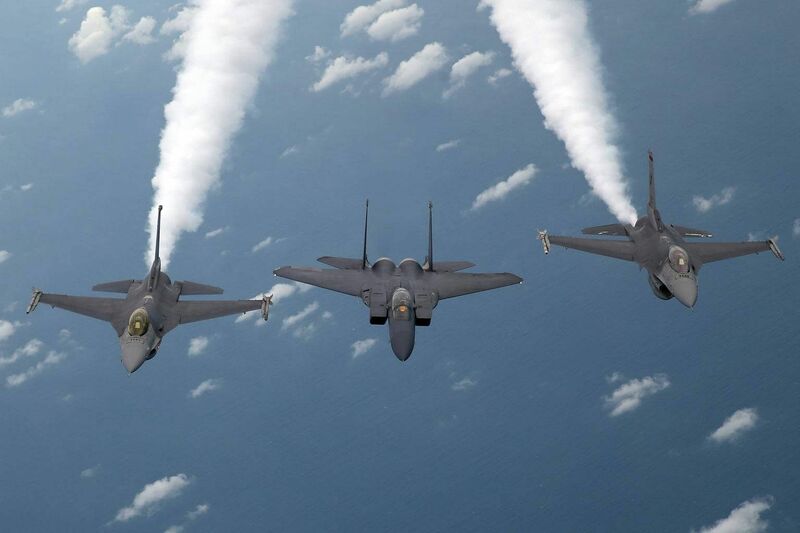 Physique-wise, if you think about having to endure the G-forces as a fighter pilot - we have iron ladies, so I don't think physique is a barrier at all." She added that Brigadier-General Gan Siow Huang, 43 - the first woman in the RSAF to hold that rank - is testament that there is no glass ceiling. BG Gan is also chairman of the RSAF50 events at the Singapore Airshow and in the heartland. For air force engineer Military Expert 4 (ME4) Andrew Tan, 30, his father was the main factor in his decision to sign on six years ago. 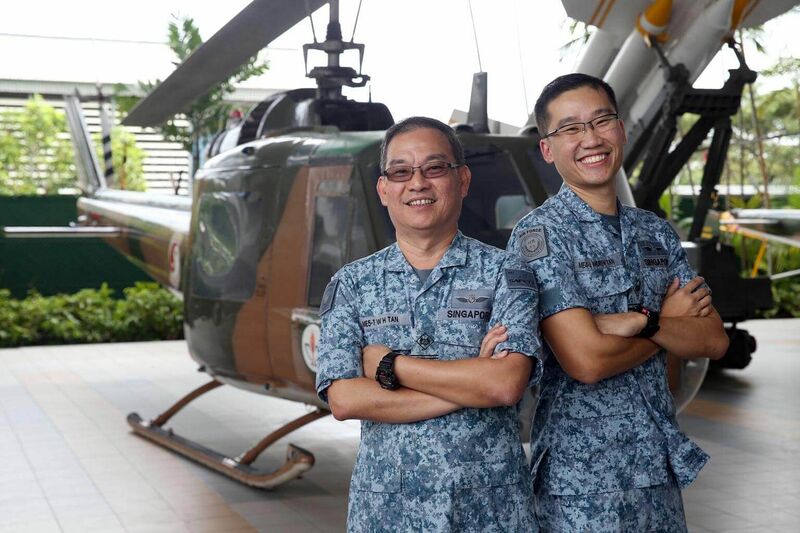 His father - ME5 Richard Tan, 58, who has served for 39 years - taught him how to tell the type of RSAF aircraft that flew by based on the sound of its engines. "So, I thought I should follow him since he was the one who inspired me to join. Moreover, since young, I liked to take things apart," said ME4 Tan. Chiming in, the elder Tan said his son broke a few of his precious watches and clocks. He added that initially, he was shocked when he heard from his commanding officer that his son had applied to join, but that the surprise eventually gave way to pride.